Recently, when the sky turned black in the middle of the afternoon over my Orange County home, I started thinking about survival. The fires were burning in several directions within five or six miles, and I knew there might be a chance I would need to evacuate. Thankfully, the fires didn’t burn any closer, but I knew I needed some gear and I need a plan. When a natural (or man-made) disaster comes (or when the zombies do finally arrive), your preparedness will be an utter necessity. I’ve assembled the following kit based on my own survival needs. Yes, the contents your kit may vary, but the important part is that you have one. T.H.E. Pack is the platform in which all your gear is carried. 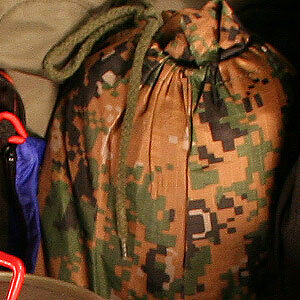 Depending on the scenario, you may have to walk long distances and lug all your supplies on your back. 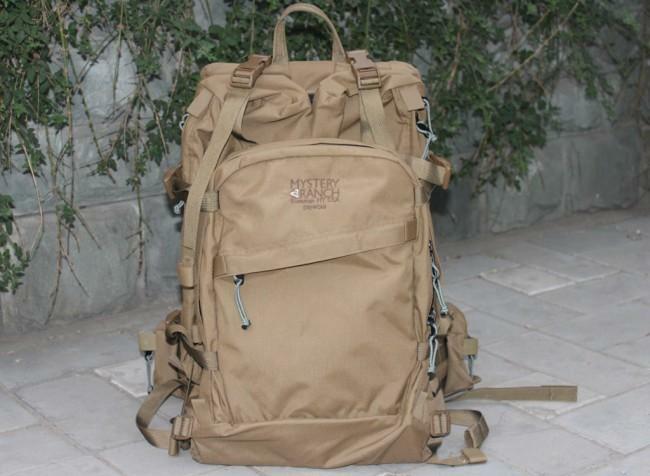 I chose this pack because of its military-esque design; it’s rough and tough and ready for use. With 1730 cubic inches of space there is plenty of room for all of your gear, and the ergonomic design and pocket layout is comfortable and functional. The DromLite is much more versatile than the average plastic hydration bladder. The outer skin is 200-denier Cordura nylon and the inside is coated with food grade polyurethane. 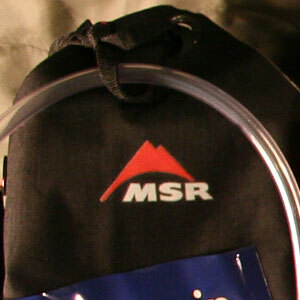 The hydration kit converts the spout on the bag to a hydration straw that will fit nicely in T.H.E. Pack, with the straw exiting one of the flaps on the top of the bag. I’m not a huge fan of prepackaged kits; usually they are poorly made and include a ton of garbage. 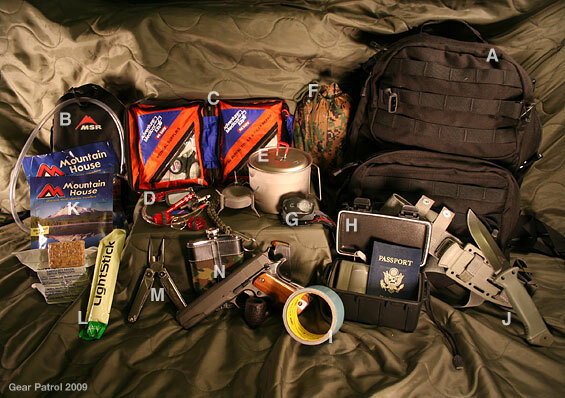 The following kits have nothing but essentials and are tested for survival. 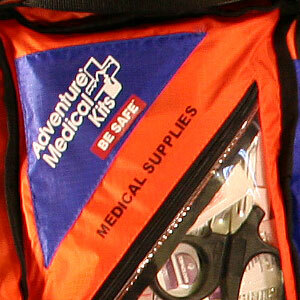 Adventure Medical Kits S.O.L. 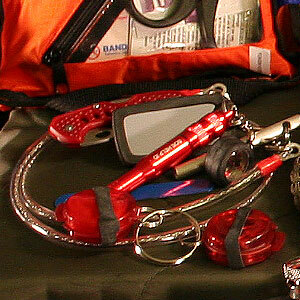 3′s (Survive Outdoors Longer) are compact and include all the tools for handling any emergency situation. One side of each pouch includes a host of medical supplies including Ibuprofen, tape, EMT shears (a new pair can cut a penny in half), moleskins (for blisters, not journaling), a ton of bandages and dressings, and some other necessities. The other half of each pouch is dedicated to survival gear. 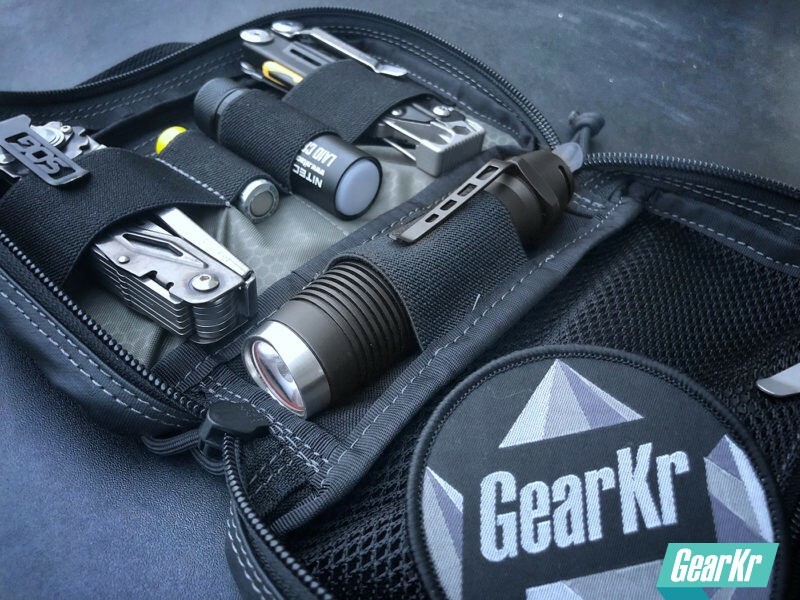 A survival blanket, compass, whistle, cable ties, mini headlamp, flash mirror, and Tinder Quik (a fire starter) are just some of the items that make up these kits. 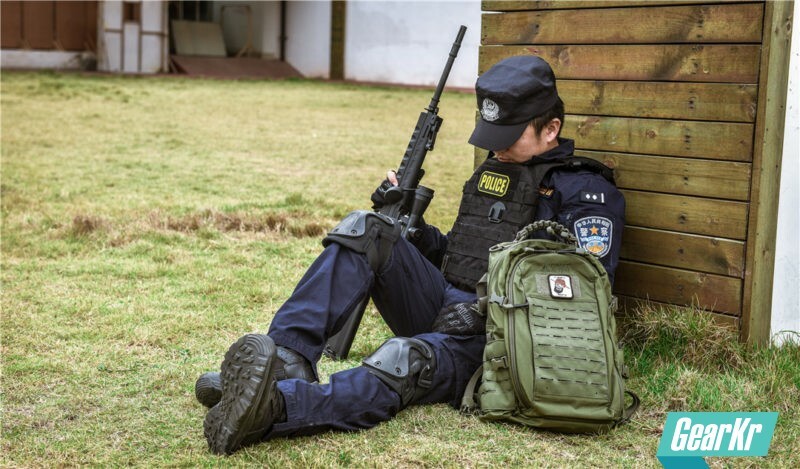 If this kit is a bit too large for your tastes, Army Ranger Rick has assembled a few smaller kits that contain a safety whistle (really loud), folding knife, 550 cord (parachute cord with a strength of 550 lbs. 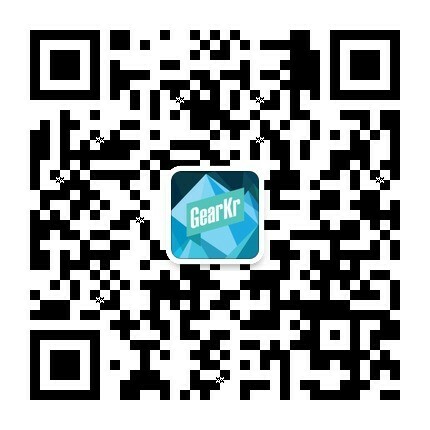 ), saw, signal mirror, LED light, and sparker. 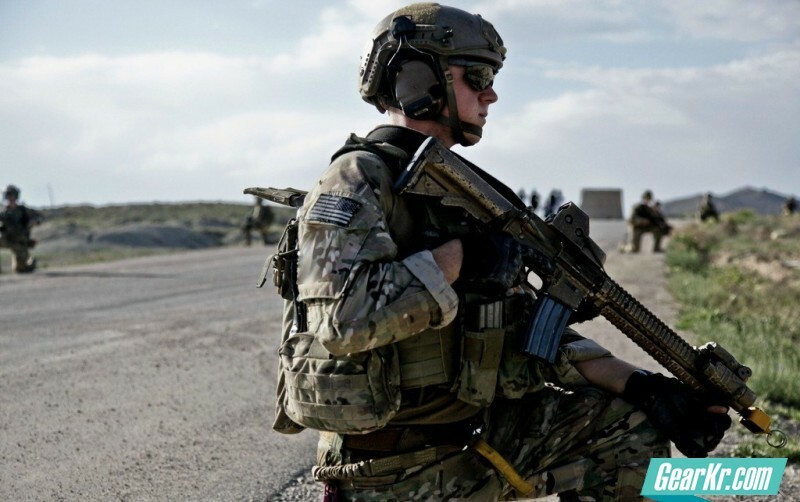 Army Ranger Rick additionally offers a water purification kit with Aquatab tablets and a condom… for holding water (a surprisingly innovative and space conscious water container). But if it does turn out to be the end of the world, well, best to be prepared. I LOVE all things titanium. 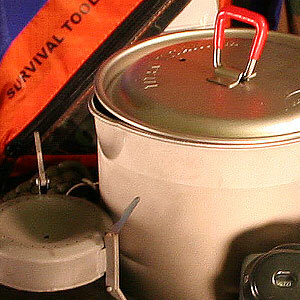 MSR has developed a tough little kettle that is perfect for heating water for the Mountain House Meals. Even better is the tiny titanium Triad stove; a denatured fueled burner that is great for boiling up a few cups of water. Be sure to use it outside (denatured alcohol can have a bit of an odor) and couple with a wind break (DIY plans are available here). After 30 seconds of priming, you’re just a few minutes away from hot boiling water. These are great for staying dry, and can be used as a potential shelter. Pair this with a poncho liner (cleverly disguised as my backdrop), which is a military type blanket. Staying dry and warm are keys to survival. There are a million great flashlights out there, but for practicality I’m all about the Tikka XP headlamp. These are great if you need to do any type of work in the dark because both of your hands are free. 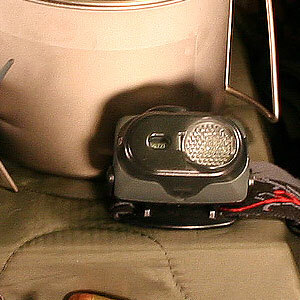 This light has 3 different brightness modes, plus an emergency flash. 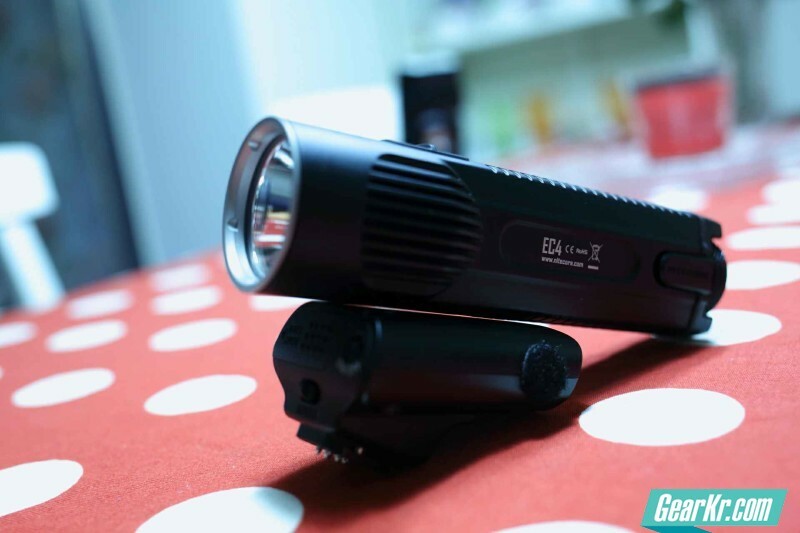 A small plastic lens will turn the bright beam into a wide flood with the slide of a finger. Affordable and easily found AAA batteries power the Tikka, and that makes it all the more desirable. If it comes down to evacuation from your location, you’ll need to bring along some important documents (or at least copies of them). The Otterbox is big enough to hold a passport/birth certificate, cell phone, digital camera, thumb drive, and many other things that need to stay dry. 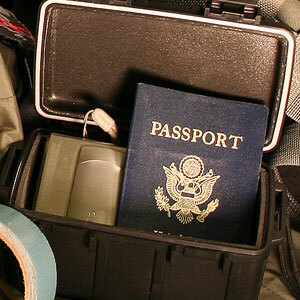 The box is also light and small enough to be easily carried in your pack. Regardless of what specific situation may arise, there is always a need for duct tape. 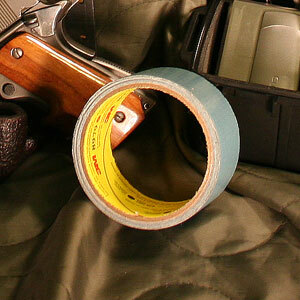 The 8979 3M Duct Tape is of the highest quality and can be removed up to six months later with no left over residue. 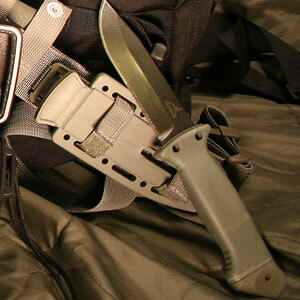 When it comes to survival, a knife is absolutely essential, and Gerber’s LMF II is the top of the line. The knife has a thick body and sharp edge, which were designed for pilots to cut the fuselage of a helicopter in an emergency. The sheath has a built in sharpener as well as lashing system which will easily attach to a belt, leg, or the MOLLE loops on T.H.E. Pack. On the base of the handle is one of the most amazing parts of this knife, a plexi-glass punch. This is great if you need to escape from a vehicle or bust through window and the base also doubles as a hammer if needed. Lastly, there are two small holes near the base of the blade which can be used for fashioning a spear. When it comes to food, I opted for lightweight items that are calorie efficient. Datrex has created a well-balanced ration that has a remarkable similarity to coconut-flavored Girl Scout cookies. The little cookie-like bars have all the vitamins and nutrients your body needs. 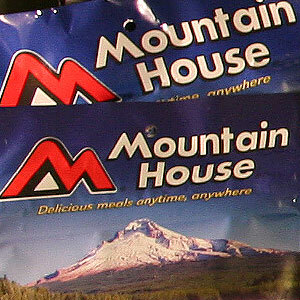 If you’ve done any backpacking, you’re definitely familiar with the dehydrated food pouches from Mountain House. Simply boil some water, add it to the pouch, and a tasty meal has been born. 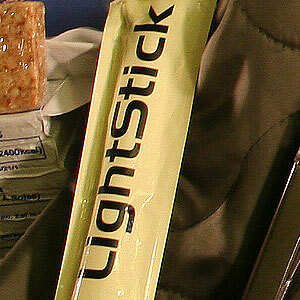 Chemical light sticks are a great backup for your flash light. They last about 12 hours and can be used for signaling or marking your campsite. Les Stroud, Survivorman, doesn’t go into the field without a Leatherman Wave. 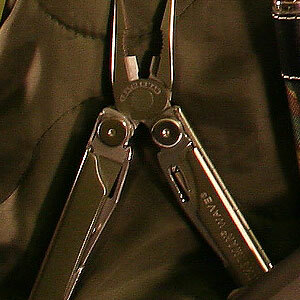 This is one of the classic Leatherman models, and provides a ton of necessary tools in a small package. Just about all the luxuries you’d find in a Swiss Army knife have been placed within the much more ergonomic Wave. Pliers, scissors, screwdriver, blades (serrated and straight edge), and a handful of other goodies are included; what more do you need? 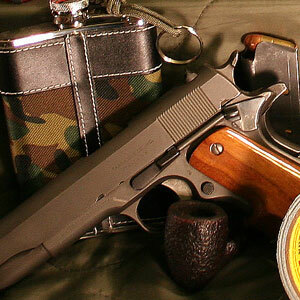 You won’t find this in the Red Cross Survival Manual, but alcohol, tobacco, and firearms are some of the most important items in my survival bag. The firearms will provide protection and potentially some food. If you get evacuated from your house, chances are good you’ll be in the mood for a drink. The tobacco will ease the stress, and nicotine will keep you awake (this could be vital depending on the situation). In conclusion, it all comes down to being prepared. In addition to the items I’ve listed above, take a look at the Red Cross List to complete your kit. 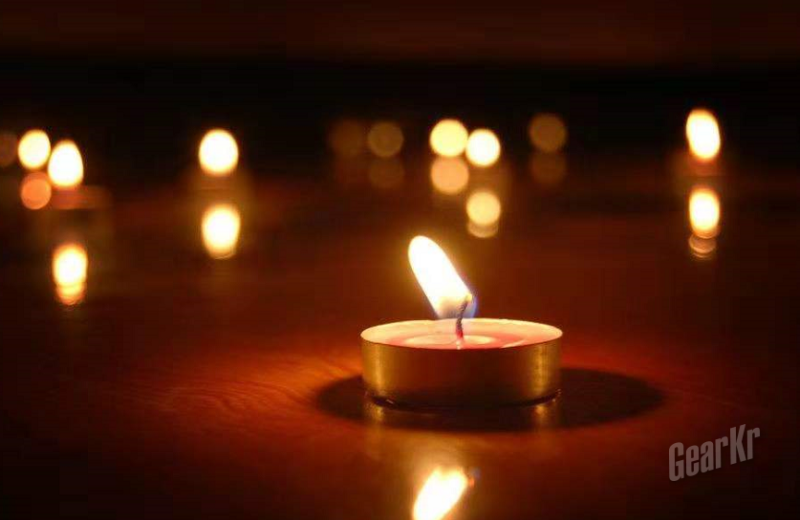 Make a plan with your loved ones a keep a cool when the crap hits the fan; help will come, but it may take awhile.